Why do quotes for manufactured parts or assemblies vary so much? 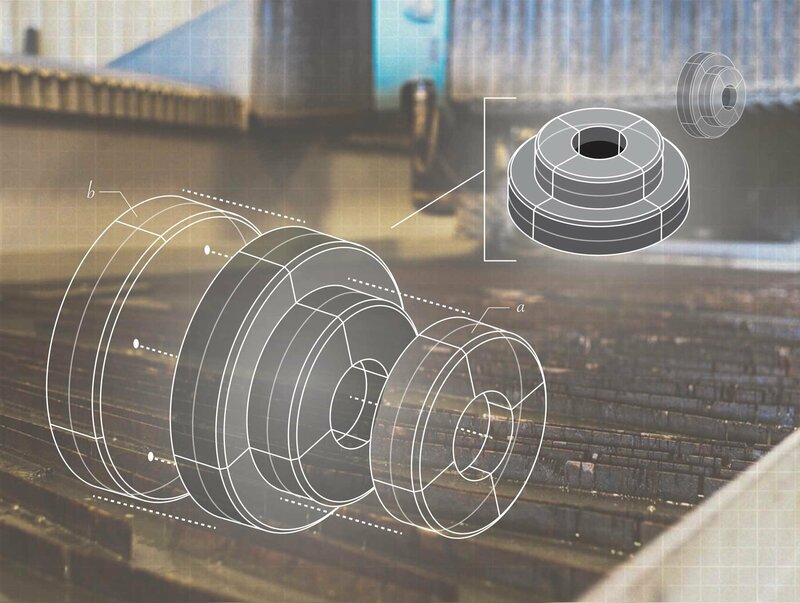 Studies have shown that quotes received from suppliers for the same simple machined part can vary by as much as a factor of 10, independent of where the part is made. To understand these differences, we need to separate true economic cost of a part (the signal) from all the additional factors that can influence a quote (the noise). The figure below provides a visual breakdown. For every manufactured part, there is a true economic cost, which is determined by a set of quantitative and measurable cost contributions. In the pictured part (Figure 2), for example, a certain amount of raw material is required which includes the finished mass and any waste generated during the processing. 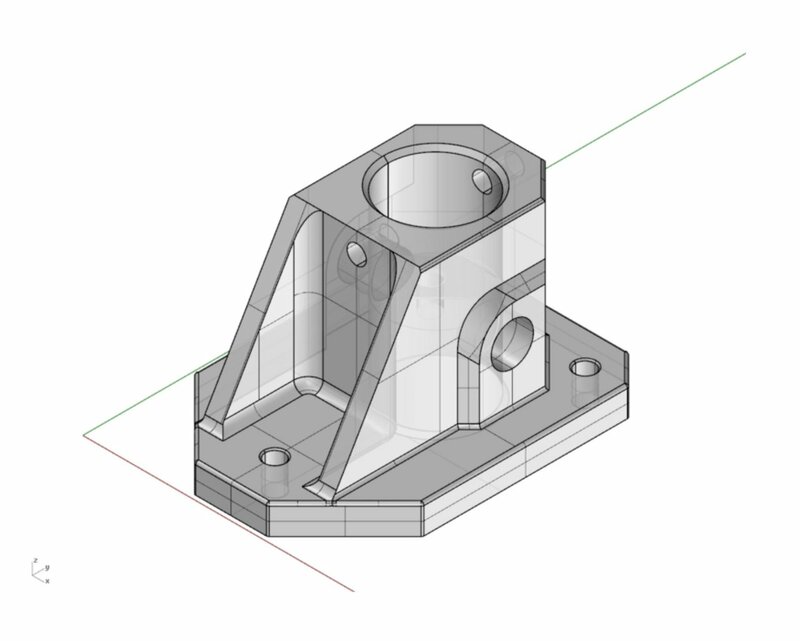 The final form of the part is achieved through a sequence of machining operations. The time required for each process step is measurable, including any setup or handling time. In addition, the part has a finish plating operation which again has a measurable process time and required materials. Finally, there are logistics for transporting and packaging. A reasonable markup of 10-15% to ensure profitability for the supplier is added to these cost factors. The true economic cost will vary, but all elements are measurable and based on market rates and physical processes. Best-in-class product cost estimating solutions repeatedly and reliably calculate this true economic cost, and more importantly, the relative impact of design, process or material changes. But the measure of true economic cost can be blurred by the several large noise factors that are often hidden inside manufacturing quotes. Are indirect overhead or investment costs properly accounted for and allocated? 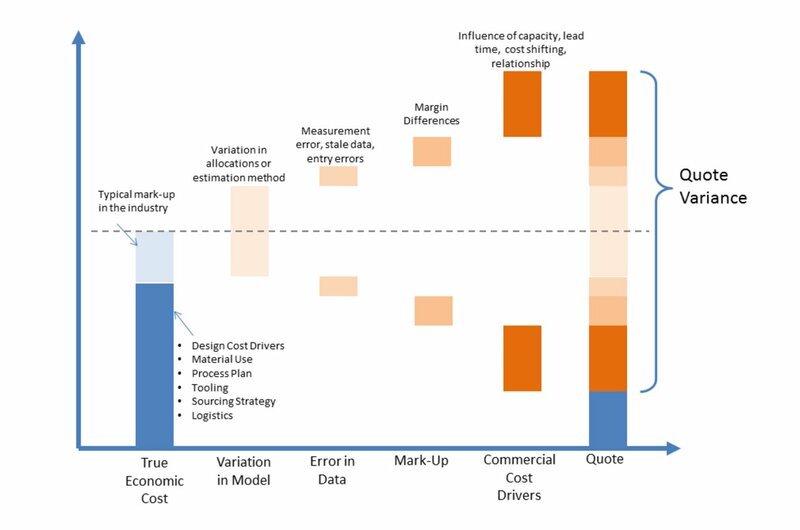 Are there outdated raw material costs causing errors in the data? Is the quote below cost because of excess capacity at the supplier, or are short lead time requirements at the purchaser driving additional expediting fees? An open and transparent approach between purchasers and suppliers can reduce or eliminate the noise in the price. A clear understanding on both sides about the elements of the true economic cost will allow the parties to come to a fair agreement. But this takes significant investment in time and effort from both parties. Large companies can only afford this with their most strategic suppliers, and small companies aren’t able to offer enough business to help build these relationships. The alternative solution of in-house production is often out of reach as fewer companies can afford the associated overhead costs. A combination of trusted manufacturing networks and software product cost estimating solutions show a path forward for both large and small purchasers and suppliers. Platforms such as Maketime foster trust through intelligent automation and bring alignment on true cost between purchaser and supplier. Software, such as aPriori’s product cost management solutions, provide faster and more repeatable measurement of product cost and all its drivers. How do you think about true product cost? Do you have any examples of noise that resulted in an overpriced job? Comment below to join the conversation.